I received the Hop To The Music pack as a member of the Entertainment New Media Network. I suppose it's not secret by now that we absolutely, positively LOVE Disney in our home. We have the movies, the jammies, the jewelry, hairbrushes...and then there's the kids' stuff! No doubt about it...we're a Disney family. I mean seriously, what's not to love? The stories are fun, the characters are cute and of course, the SONGS! Who doesn't love the Disney music!? Even when the movies are over, we can often be found jamming out to 'Let It Go' or 'Hakuna Matata'! 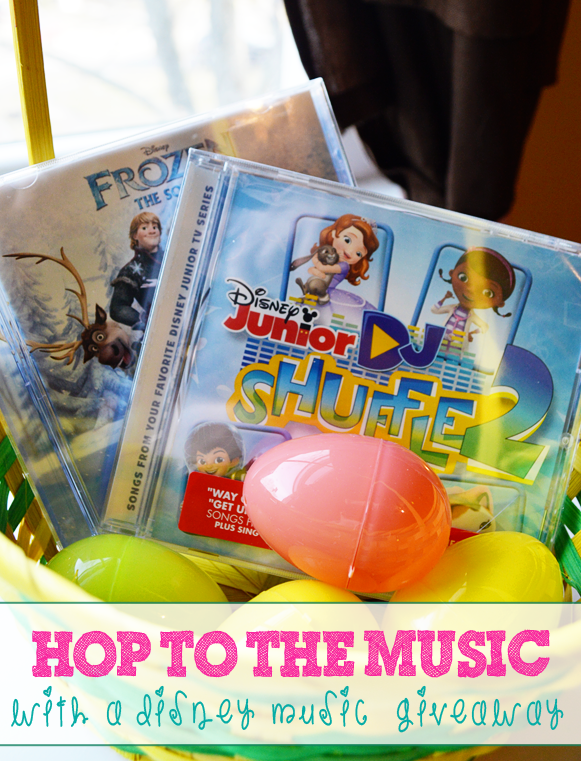 With Easter fast approaching, I could not think of a better Easter basket surprise for your little ones than finding their favorite Disney music!! Treats may be fun...but once they're gone they're gone. 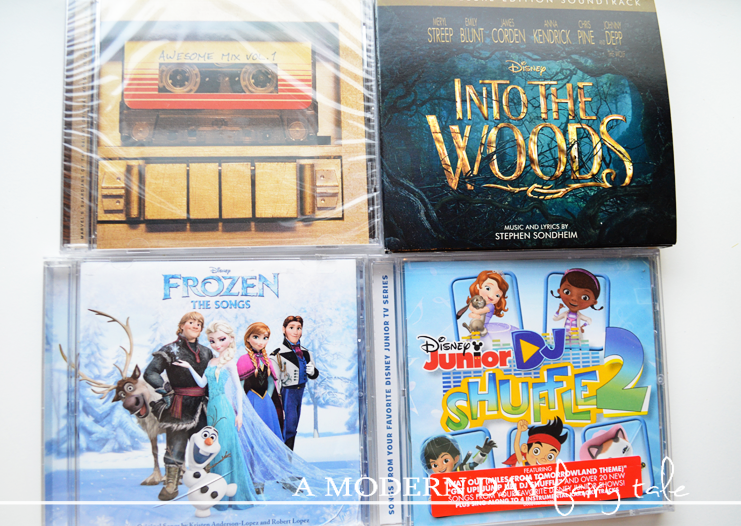 With Disney CDs the fun just keeps on going!! 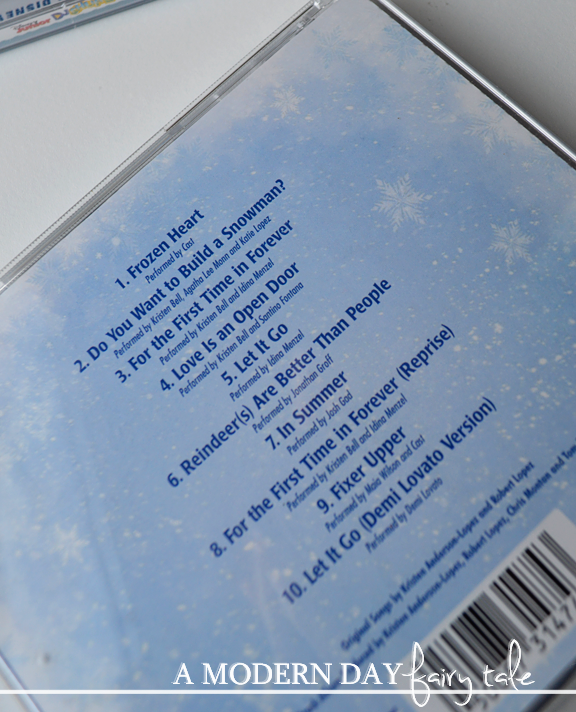 Naturally, Frozen made it into our CD player first. We loved jamming out to our favorite songs from the movie in the car, as we cleaned...anywhere and everywhere! 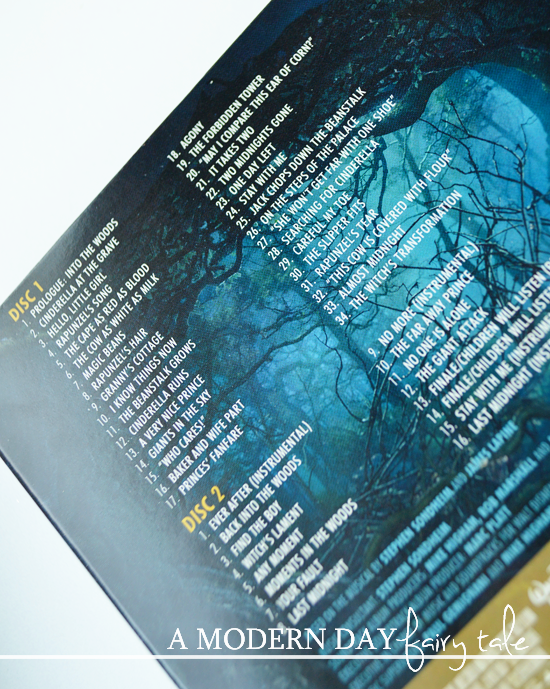 Honestly, we randomly burst into these songs on a daily basis anyway, so it only makes sense to have the actual album!! My husband immediately put his claim on Guardians of the Galaxy! He's not usually a huge soundtrack fan, but this one is pretty amazing! I love that this is an album that the whole family can listen to together and TRULY enjoy (not just tolerate!) Truthfully, is there anyone in the world who can resist belting out Hooked on a Feeling or Ain't No Mountain Hight Enough when they come on? I don't think so!! 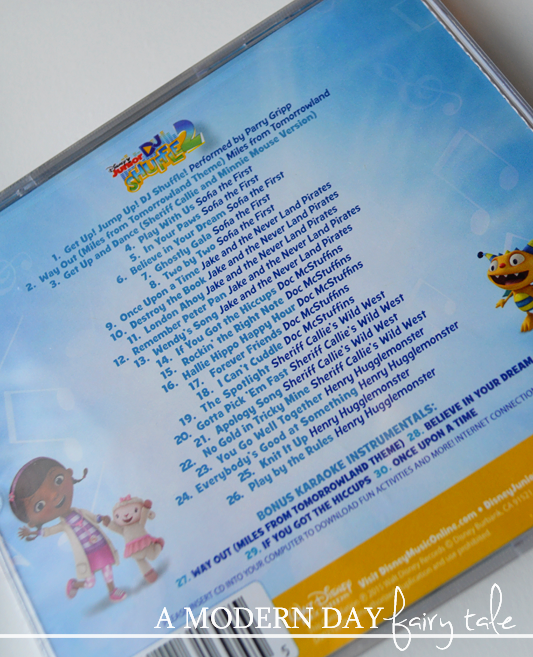 DJ Shuffle features a selection of music from Disney Junior favorites like Sophia the First and Doc McStuffins. We loved hearing these familar songs once again...and loved that most are fairly short which is great for short kid attention spans. This one is definitely becoming a playroom staple. Into the Woods was an all new one for us. 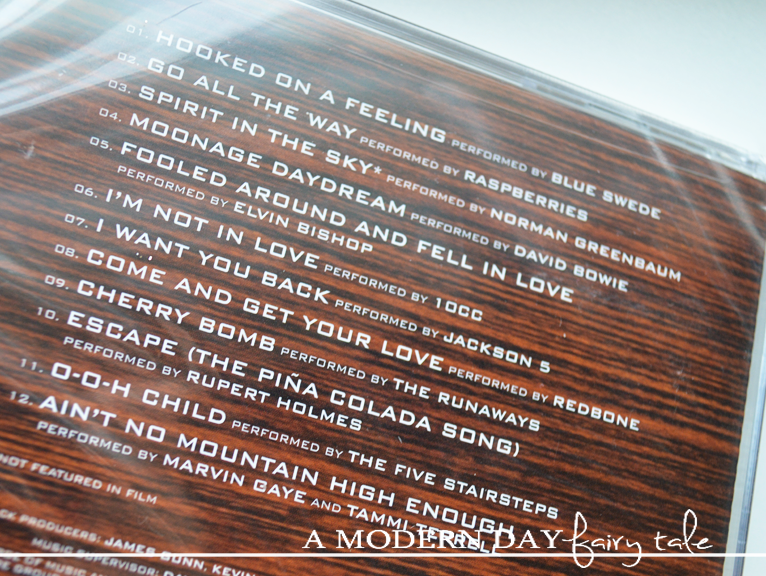 We've not yet seen this movie, but if the soundtrack is any indication...we cannot wait! blog for this same prize, this blog reserves the right to choose another winner. Kiss the Girl from The Little Mermaid! My favorite disney song is a whole new world from aladdin. My favorite Disney song is Under the Sea. I think my favorite is Fixer Upper from Frozen!